An initiative to regulate and legalize marijuana in Washington state was leading by 13 points in a Public Policy Polling survey released Tuesday. 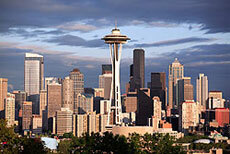 The poll had support for the initiative, I-502, at 50%, with 37% opposed and 13% undecided. The poll is good, but not great, news for New Approach Washington, the high-powered group behind the initiative campaign. It shows support two points higher than a similar poll in January, but not high enough for the campaign to have much of a comfort zone. The conventional wisdom among initiative watchers is that initiatives should be polling at 60% or above going in because opposition during the campaign season is bound to shave some points away by election day. That means that while New Approach Washington can take succor in the lead it holds, it still has its work cut out for it to cross the finish line victorious. Looking at the cross tabs, support for legalization was higher among men (55%) than women (46%) and all age groups except the over-65 had support higher than 50%. Somewhat surprisingly, support was highest among those aged 46 to 65 (55%), followed by those aged 30 to 45 (54%) and those aged 18 to 29 (52%). A large partisan divide has also emerged, with legalization supported by a whopping 70% of Democrats, but only 22% of Republicans. Independents came in at 54% in support. And although Washington's minority population is small, non-whites are supporting legalization at a higher rate (60%) than whites (49%). Public Policy Polling surveyed 1,073 Washington voters from through automated telephone interviews from June 14 to June 17. The margin of error for the survey is +/-3.0%. This poll was not paid for or authorized by any campaign or political organization. Seattle Mayor Mike McGinn (D) used his state of the city address last Tuesday night to make a heartfelt plea for marijuana legalization. The mayor's remarks came as a new poll showed that an initiative that would legalize marijuana is favored by voters. "It is time we were honest about the problems we face with the drug trade. Drugs are a source of criminal profit, and that has led to shootings and even murders. Just like we learned in the 1920s with the prohibition of alcohol, prohibition of marijuana is fueling violent activity," McGinn said in his prepared remarks. "Seattle is the kind of place that isn't afraid to try a different approach," he continued. "We support safe access to medical marijuana and made enforcement of possession of marijuana for personal purposes our lowest enforcement priority. But we've learned in the past year that with the federal war on drugs still intact, and with our kids still getting gunned down on the streets, we need to do more. "I know every one of the city council members sitting to my left and right believe as I do: It's time for this state to legalize marijuana, and stop the violence, stop the incarceration, stop the erosion of civil liberties, and urge the federal government to stop the failed war on drugs." 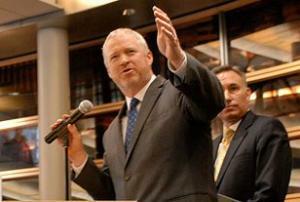 Mayor McGinn's remarks came as Washingtonians prepare to decide the issue for themselves in the November elections. A marijuana legalization initiative, I-502, has already been approved for the ballot. Sponsored by New Approach Washington, the initiative would create a system of state-licensed and -regulated marijuana commerce and allow adults 21 and over to possess up to one ounce. A Public Policy Polling survey released this week shows the initiative leading, although not with a majority. In the poll, 47% of voters said they're currently inclined to vote yes on the measure, with 39% saying they are opposed. A similar initiative is poised to make the ballot in Colorado, having handed in four times the number of signatures it needed for its final push, while legalization initiative signature-gathering campaigns are underway in California, Michigan, Missouri, Montana, Nebraska, and Oregon. The Washington secretary of state's office announced last Friday that an initiative to legalize, license, and regulate marijuana has been certified for the November ballot. 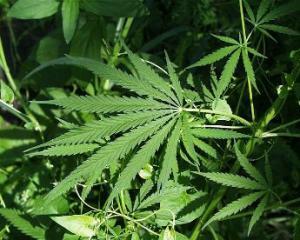 Washington is the first state this year to have a marijuana measure qualify for the ballot. The measure, Initiative 502, would legalize marijuana for adults and regulate and tax it much like liquor. 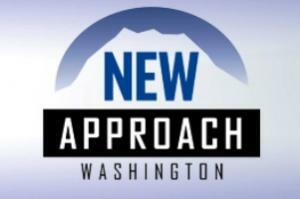 I-502 is sponsored by New Approach Washington, which has garnered an impressive list of sponsors and endorsements. But not everybody in the Washington marijuana community is happy with it. Sensible Washington, which has twice tried unsuccessfully to get its own initiative on the ballot, is critical of I-502, and so are some elements of the medical marijuana community. Friday's announcement came after the State Elections Division, using a random sample, determined that sponsors had nearly 278,000 valid signatures, easily enough to cover the minimum 241,153 required. The initiative campaign had turned in 354,608 signatures. The initiative now goes to the state legislature, which can pass it, reject it, or ignore it. If the legislature rejects or ignores it, it then goes to the voters in November. At least one state will have a chance to legalize marijuana this year, and it could soon be two. In Colorado, the Campaign to Regulate Marijuana Like Alcohol has turned in nearly double the number of signatures needed for its initiative to make the ballot and is awaiting certification from state officials. Marijuana legalization initiative signature-gathering campaigns are also currently underway in California, Michigan, Missouri, Montana, and Oregon. An Elway Research poll released January 4 found more support for than opposition to marijuana legalization in Washington state, but support was under 50%. 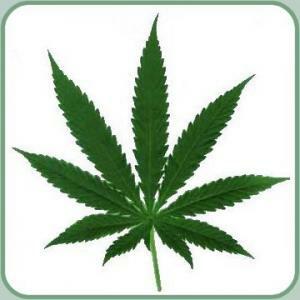 When asked if they favored legalization, 48% said yes, with 45% opposed. That marks a decline in support from the last Elway Research poll in July, when 54% favored legalization. The Elway polls asked generic questions about marijuana legalization. A November KING-TV/Survey USA poll that asked about specific provisions in I-502 found greater enthusiasm among voters. That poll had support at 57%. Noting that the Elway Research poll only asked the generic question, New Approach director Alison Holcomb told the Seattle Times it didn't mention provisions in I-502 that are popular with voters, such as age restrictions and designating marijuana tax revenues for health and prevention programs. "Our research over the years has shown us that voters really care about what the details are," she said.